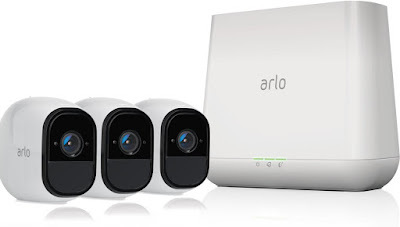 I'm thinking about picking up this camera solution - Arlo Pro Security System with Siren – 3 Rechargeable Wire-Free HD Cameras with Audio, Indoor/Outdoor, Night Vision (VMS4330). The system includes 7 days of cloud storage, so you don't have to worry about local storage. The software seems pretty slick, too.